Are you one of those people who love to take quizes to find out more about yourself? There are plenty of them that float around Facebook. I don't normally take them although I have been known to answer a few in women's magazines when I'm bored. I found one online that piqued my interest as I was looking for some travel tips to post. It's at Independent Traveler.com and defines your packing personality. 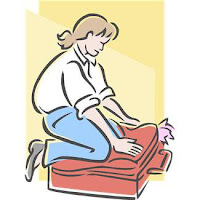 It then refers you to a list of suggested tips to help you with your packing problems. Although some of the choices for answers didn't quite fit me, I muddled through and found that I am a "last-second light-weight packer." I wish the light-weight description refered to my body weight but alas, they meant the weight of my luggage. We have pared back a bit to keep from paying too much in luggage fees although sometimes it's made up in laundry fees. 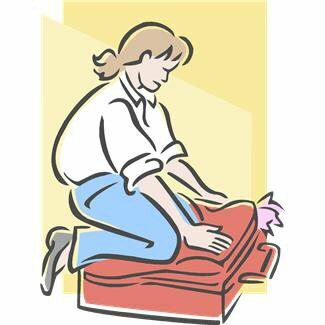 Still, it's easier to lug a lighter bag and do laundry than to schlep a heavy large piece when you are traveling about the countryside. Independent Traveler also has a ready-made interactive packing list that might be helpful to those who are overwhelmed by the prospect of packing for a trip. These are not all necessary for a trip. You'd need a truck to cart all of it. Instead you pick and choose according to your needs and destination. Then you can print it out and have a guide to follow. If you travel as much as we do, you can develop a list of your own and not have to start from scratch each time. Hmmm. I think it's time to quit here and take my own advice. Happy trails!